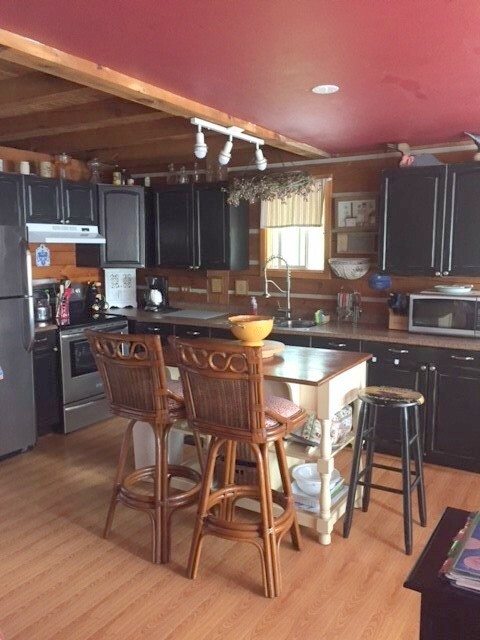 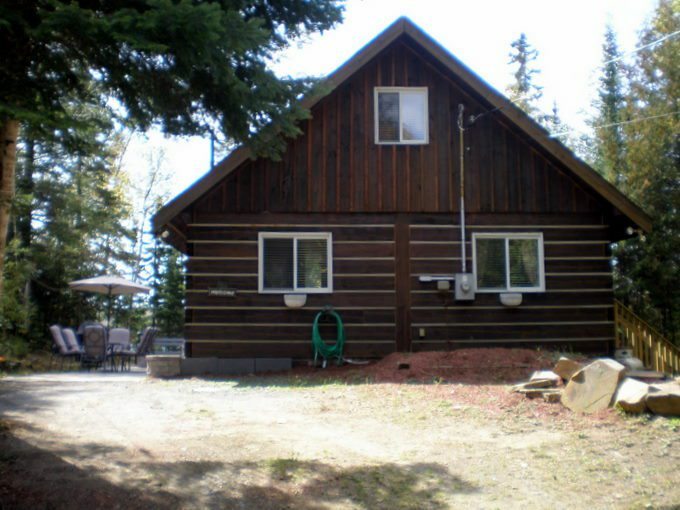 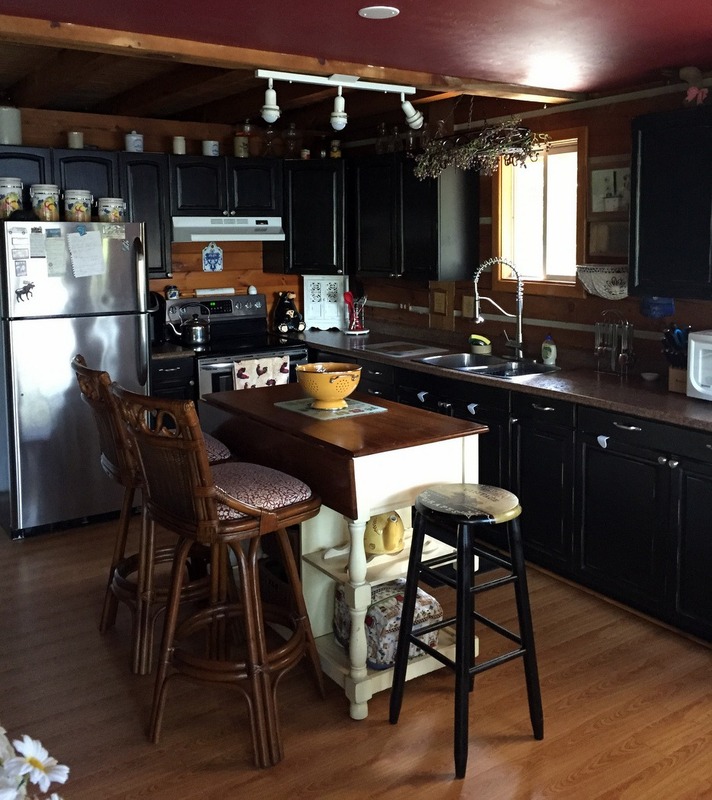 This log cottage has every bit of that quintessential charm you're looking for. 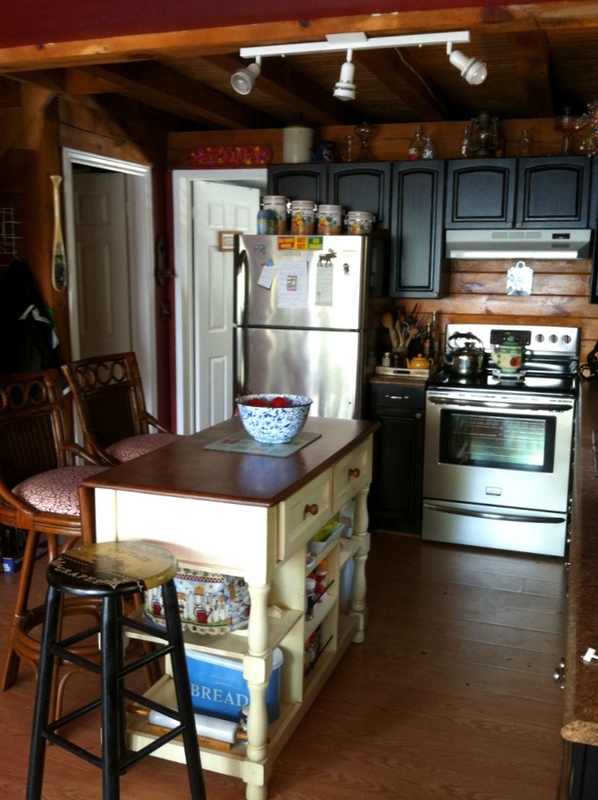 Basic and very comfortable with all the modern amenities needed to satisfy the family. 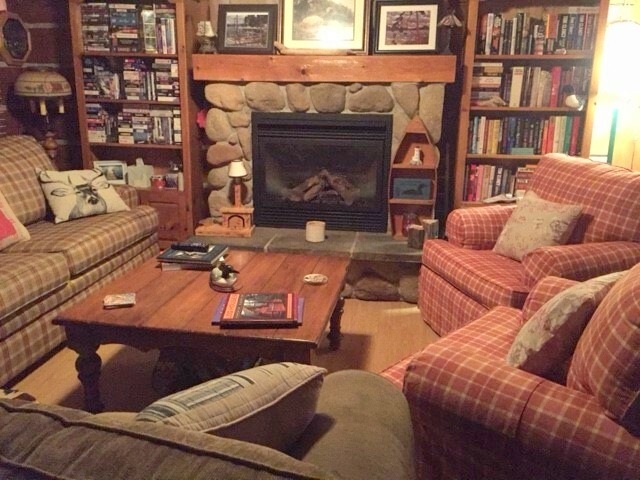 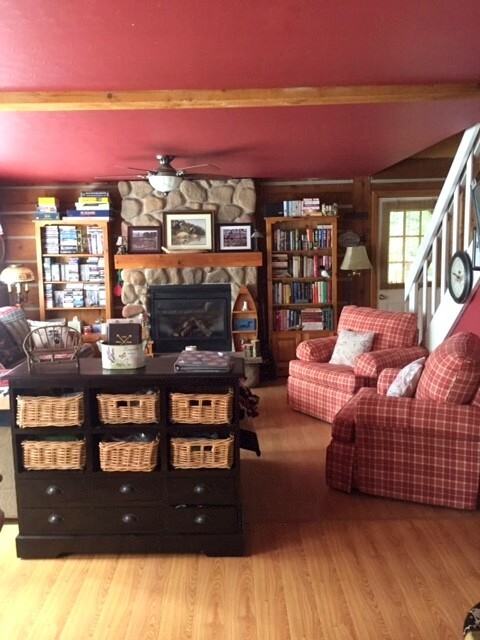 The comfy living room is centered around the lovely stone fireplace with views out over the lake. 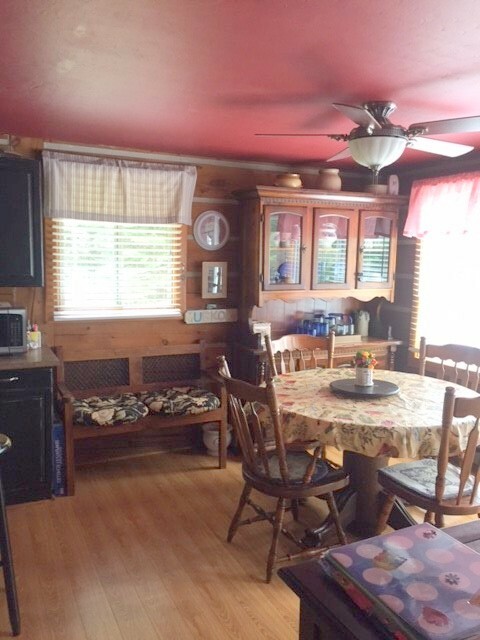 The kitchen is open to the rest of the main living area and the dining room table opens up to accommodate the family meals. 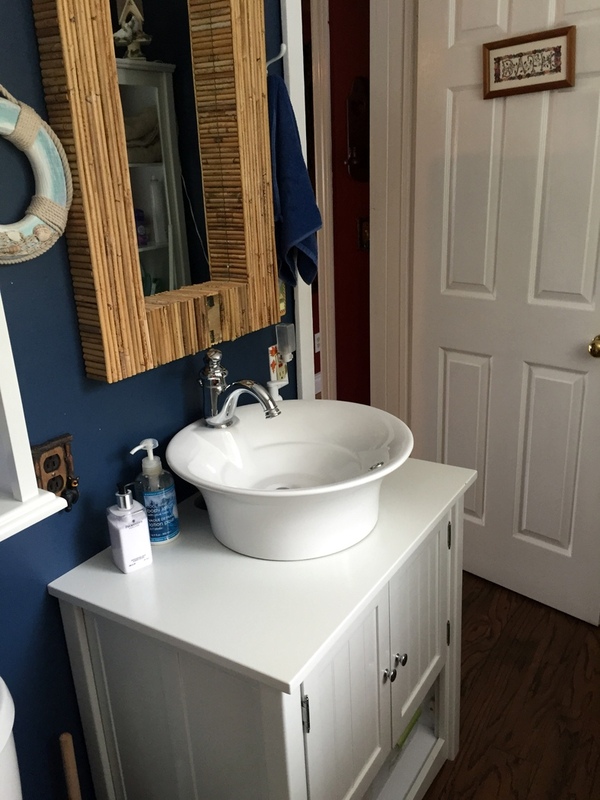 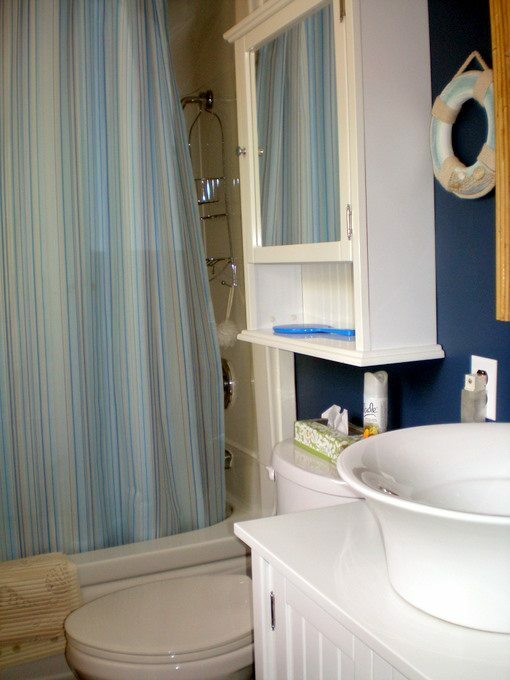 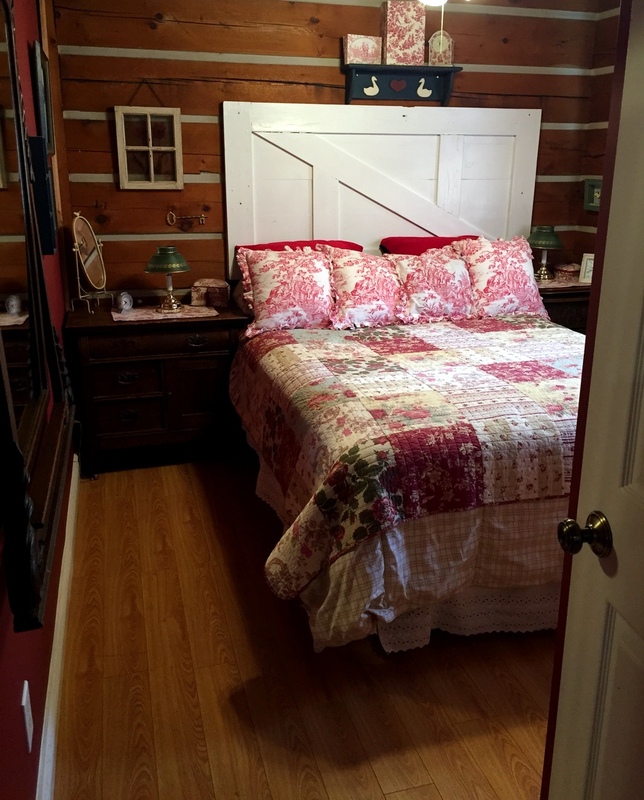 The master bedroom and the 4-piece bathroom are located on the main level. 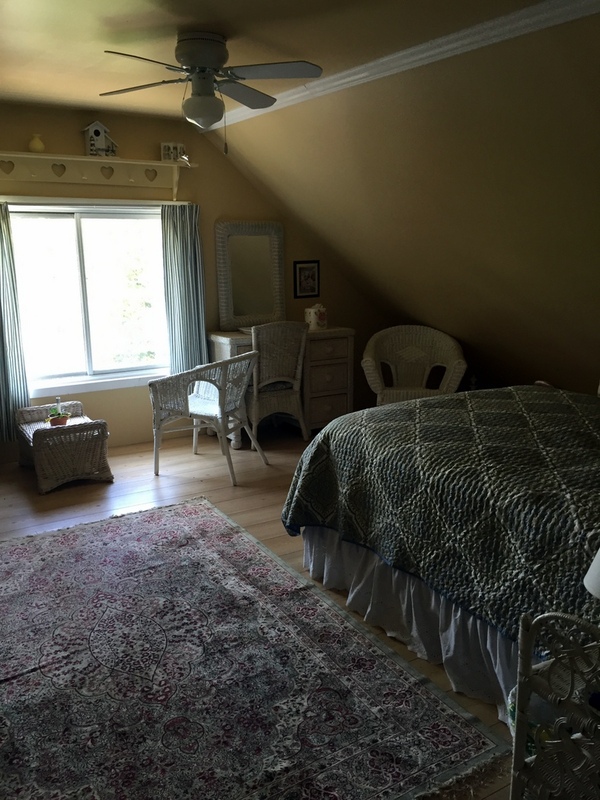 The uppper level loft area has a queen bed in the front area with a large window looking out to the lake, along with a double bed and single bed in the back facing sleeping area. 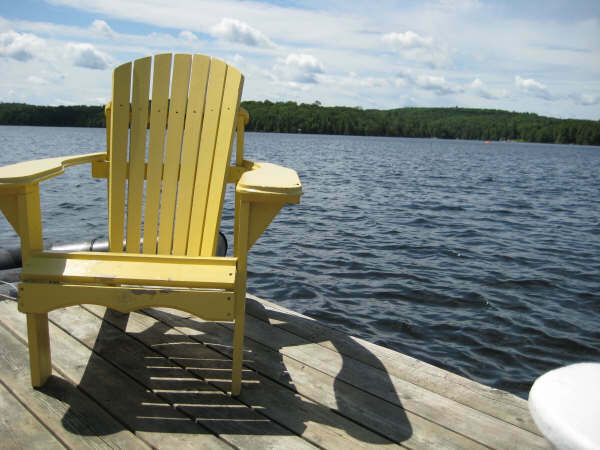 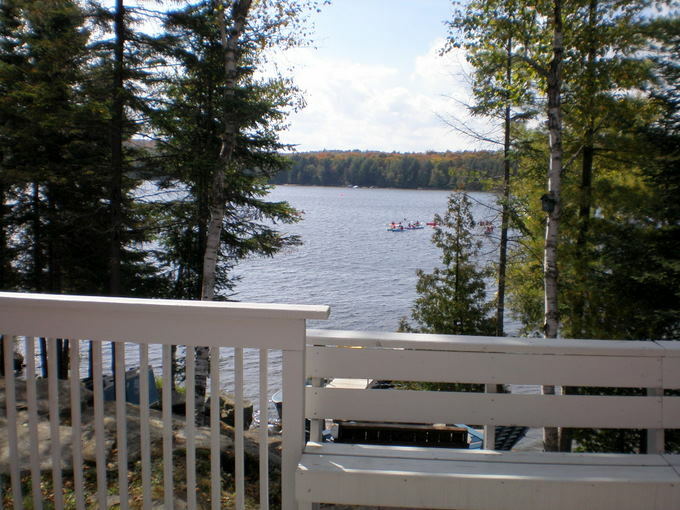 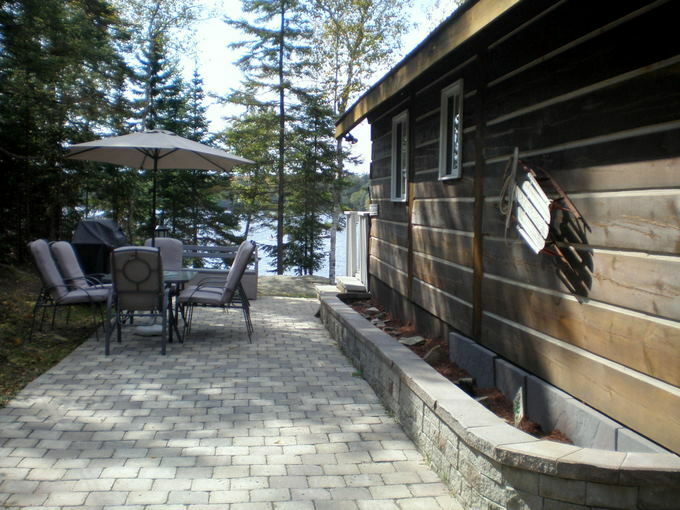 Outside, you'll find space on the deck to sit back and relax as you gaze out across the lake. 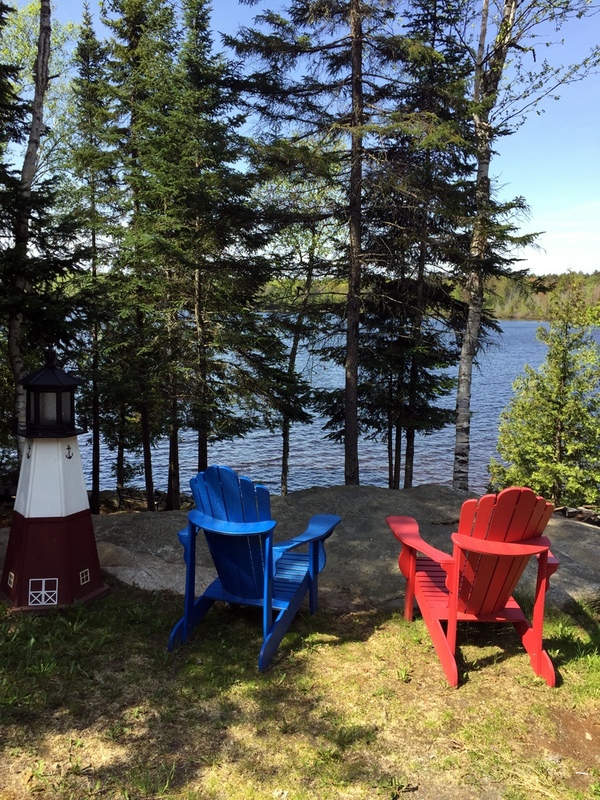 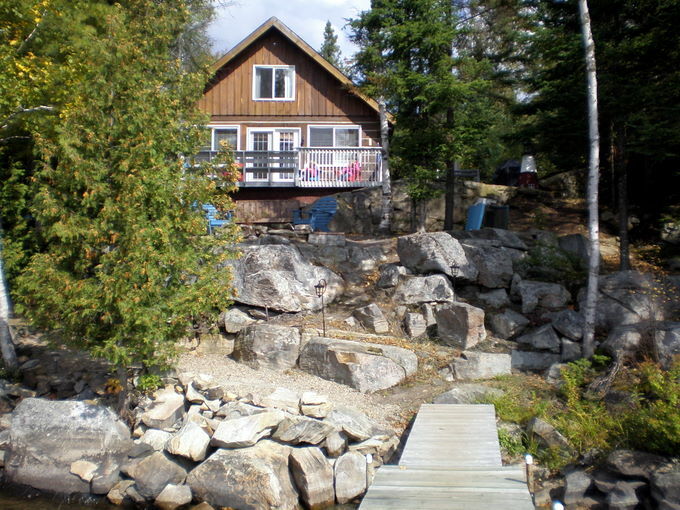 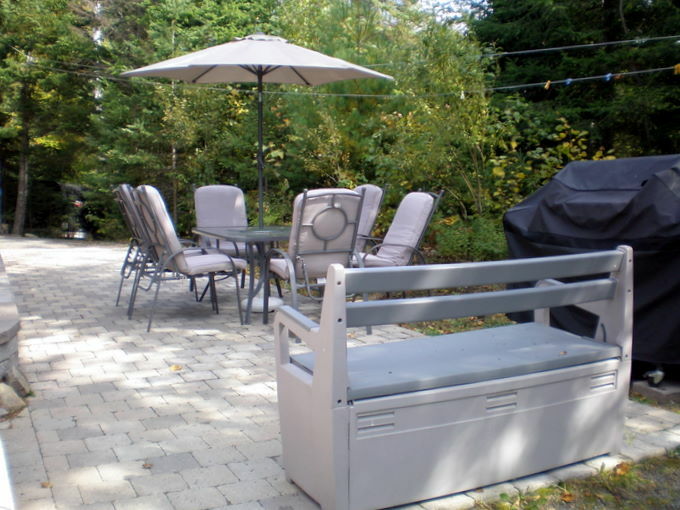 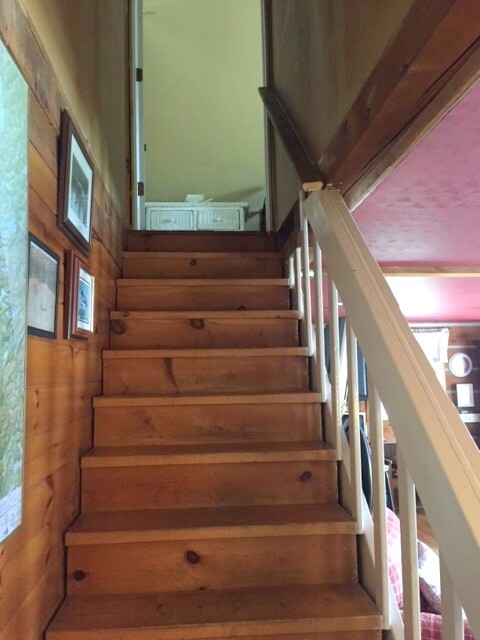 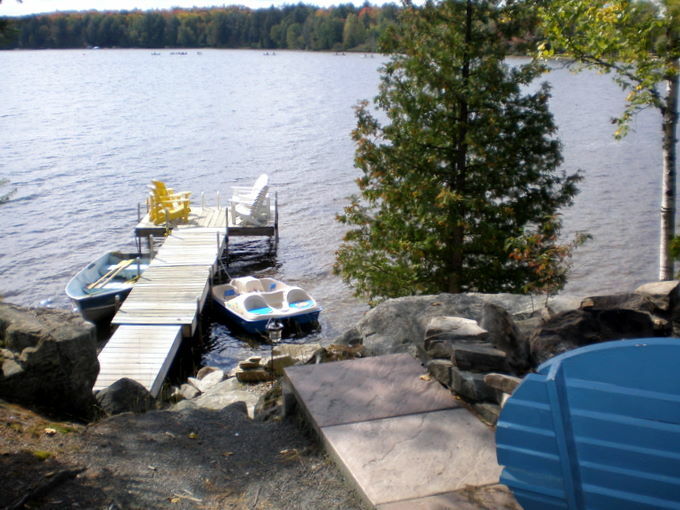 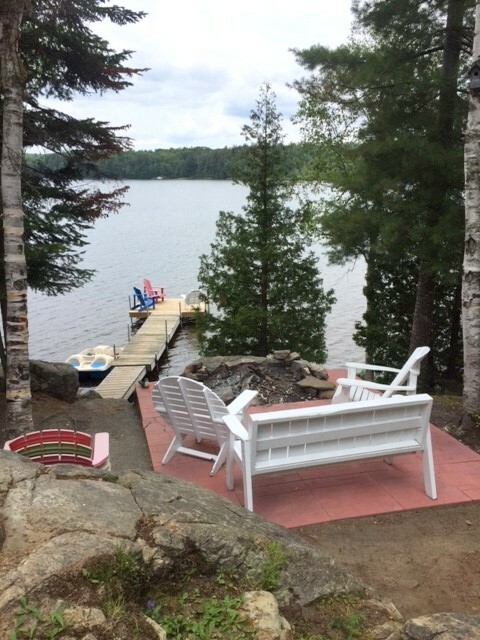 A small set of steps leads you to the patio area with a built in fire pit where the Muskoka chairs await your arrival to experience the cottage life. 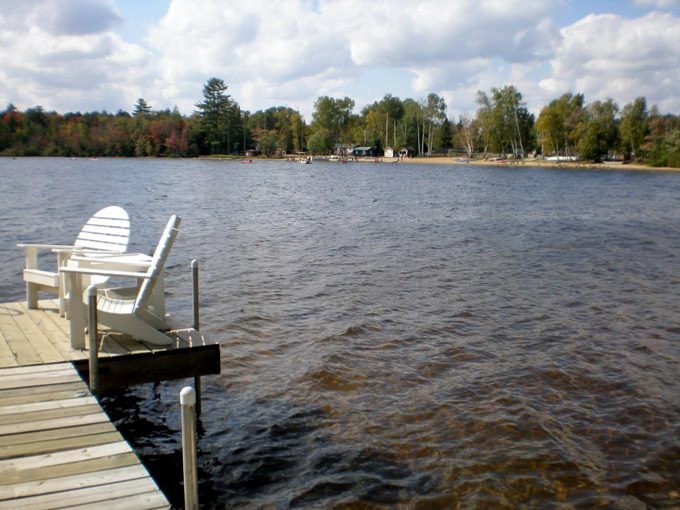 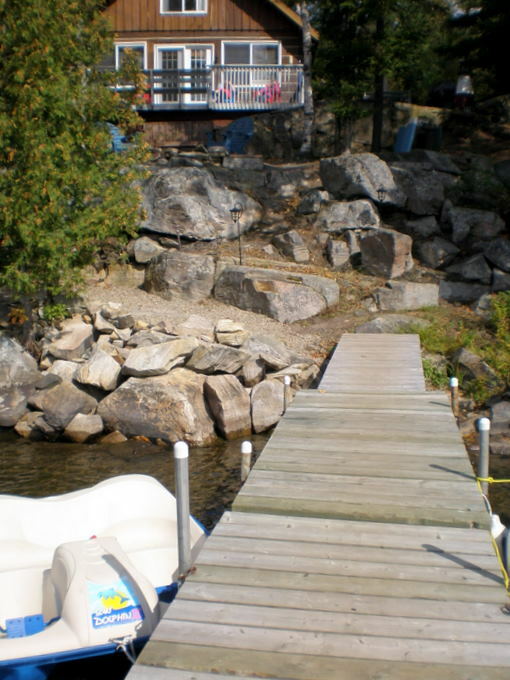 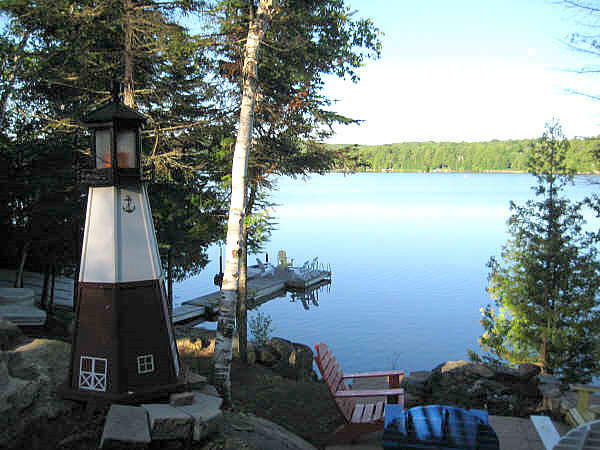 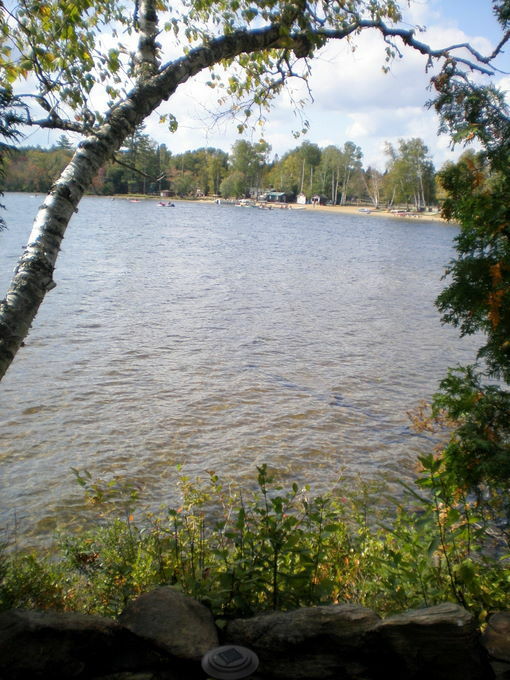 At the waterfront, the shoreline is naturally rocky with shallow hard sand bottom, and nice deep water off the dock for great swimming. 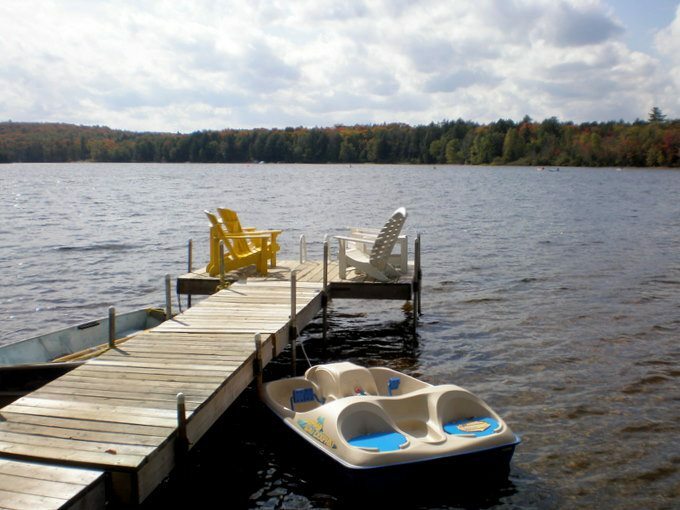 Enjoy basking in the sun at the end of the dock while the kids swim and play. 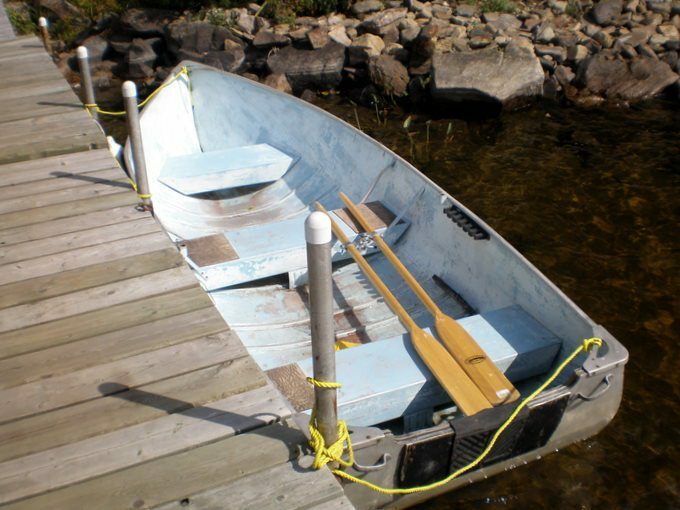 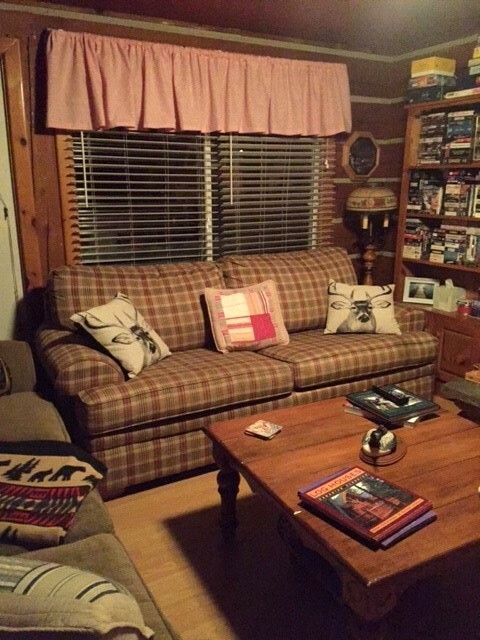 Afterwards, the whole family can gather around to catch a movie before the kids retire to the sleeping loft area and another day of activities gets ready to begin here at the cottage. 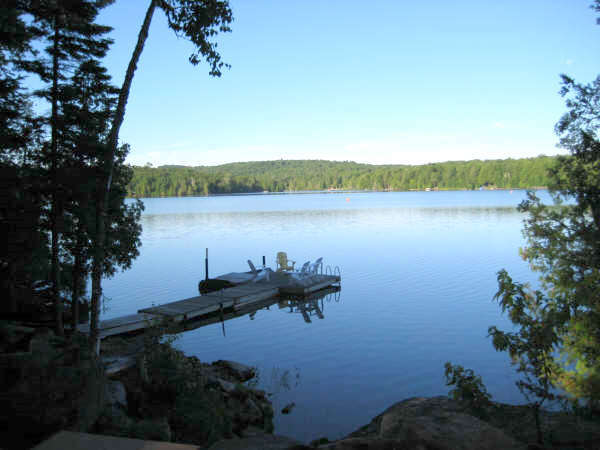 LOCATION: About 2.5 hours from Toronto. 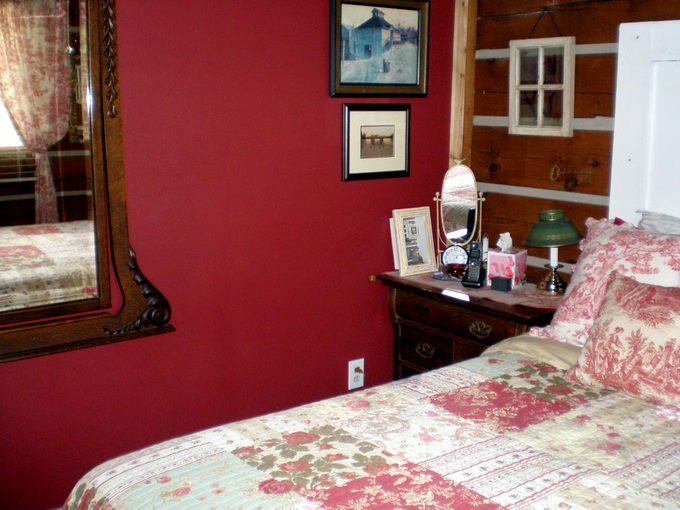 Just 20 minutes to the town of Huntsville for shopping, dining and most all amenities. 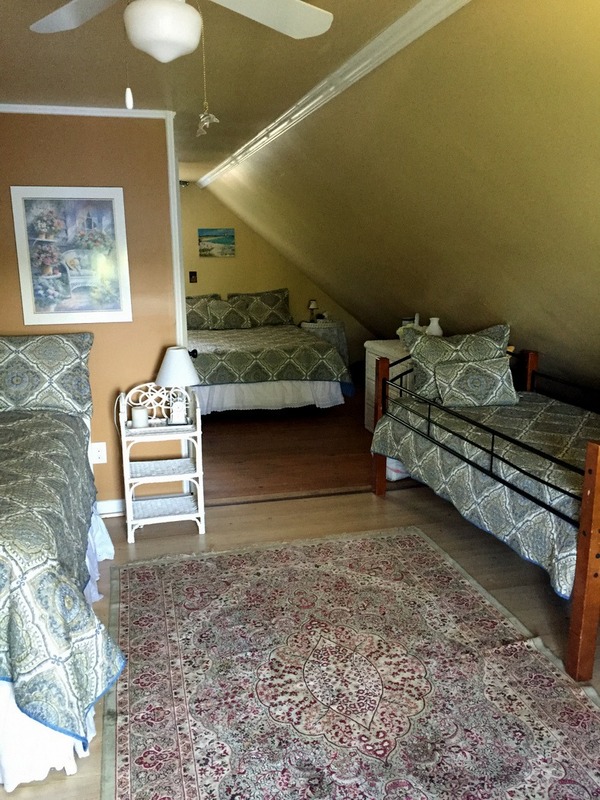 Olympia sports camp is just down the shore at the end of the bay for those who have kids enrolled and want to be close by. 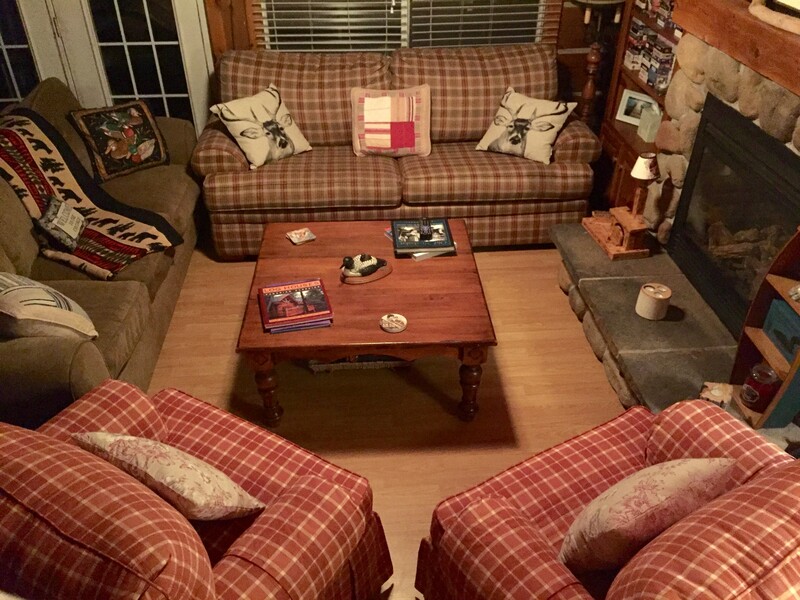 Pet allowed, no smoking, maximum number of occupants is 6, bring own linens and towels, bring own drinking water, noise restriction after 11 PM. 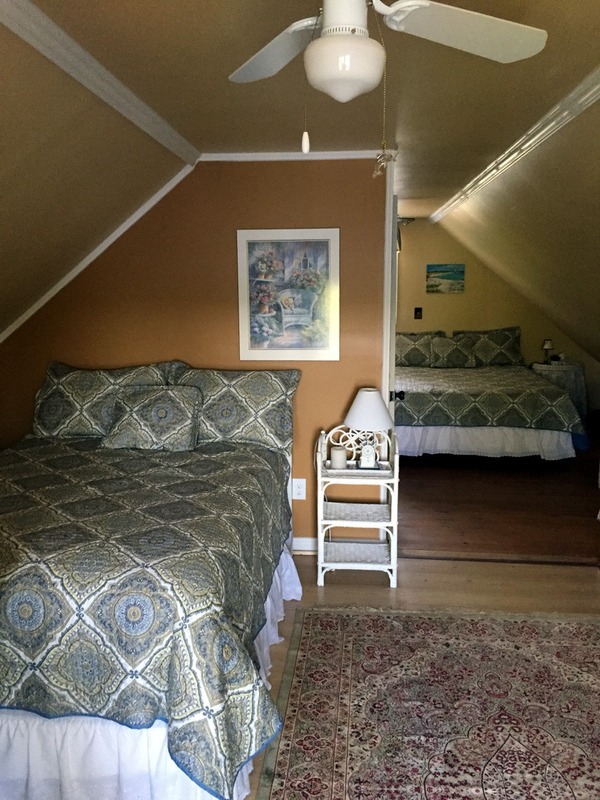 Olympia Sports Camp is located 2 properties to the right of the cottage and you will hear noise with the daily activities - www.olympiasportscamp.com .